A robust, compact and lightweight stretcher. 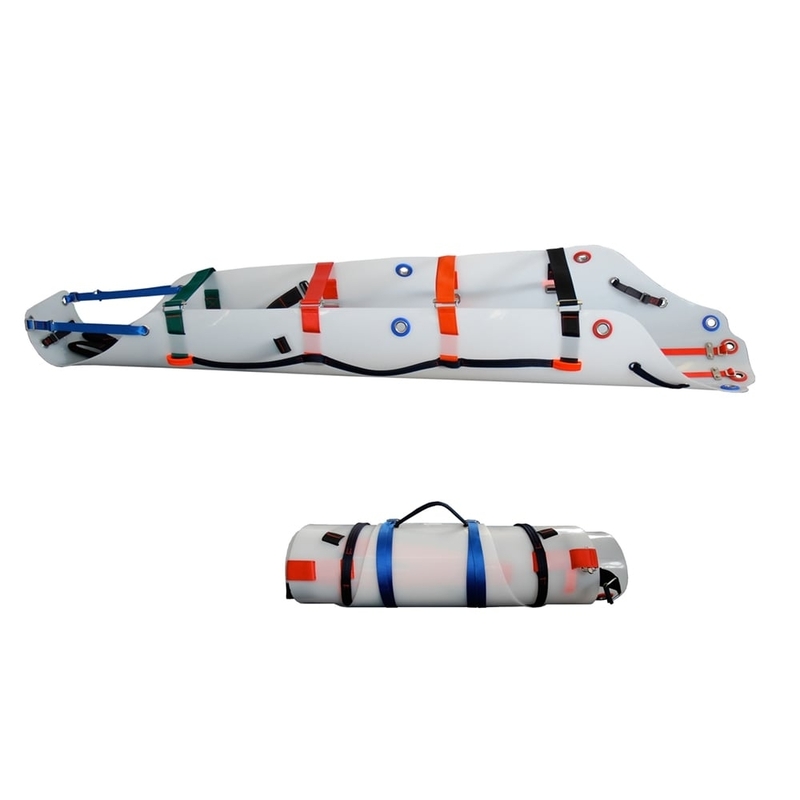 The flexible material combined to a smooth finish allows easy sliding and permits the stretcher to be rolled width ways or lengthways to facilitate transport. No webbing passes under the stretcher preventing damage whilst dragging. Strong handles around the stretcher allow it to be maneuvered by several rescuers. The stretcher may be hauled vertically or horizontally. The closure straps secure and allow the stretcher to mould around the casualty. The Abtech Stretcher may be used with the Abtech Two Person Tripod for confined space rescue. The stretcher has neutral buoyancy, which allows it to float.